Jones' rules, first made public when he published them in his 1999 autobiography Chuck Amuck: The Life and Times of an Animated Cartoonist, are probably pretty familiar to animation students and Road Runner and Wile E. Coyote fanatics. They are a fascinating testament to the need for clearly defined systems within a wacky creative process. Fun fact: In an interview for the book Hollywood Cartoons: American Animation in its Golden Age, Michael Maltese, a writer who worked for Jones on the Roadrunner series, said that he had never heard of these rules. 1. 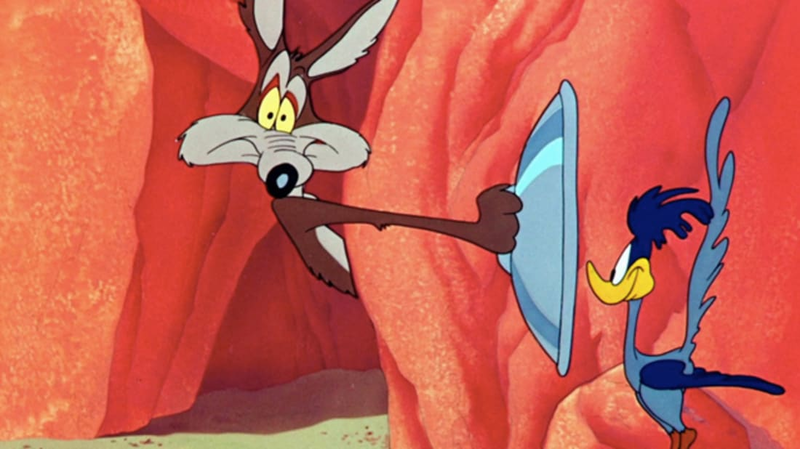 The Road Runner cannot harm the Coyote except by going "meep, meep." 2. No outside force can harm the Coyote -- only his own ineptitude or the failure of Acme products. Trains and trucks were the exception from time to time. 3. The Coyote could stop anytime -- if he were not a fanatic. 4. No dialogue ever, except "meep, meep" and yowling in pain. 5. The Road Runner must stay on the road -- for no other reason than that he's a roadrunner.